I woke up this morning and as usual immediately checked Alan Shelby’s daily RUBPA email for all the Rice news. Thus I learned of the passing of Maxwell Reade, Ph.D ’40 at the age of 100 years and two days. (Click here for the obituary.) I went back and checked to see how many times I’ve mentioned him here and I wasn’t surprised to find that it was a lot. 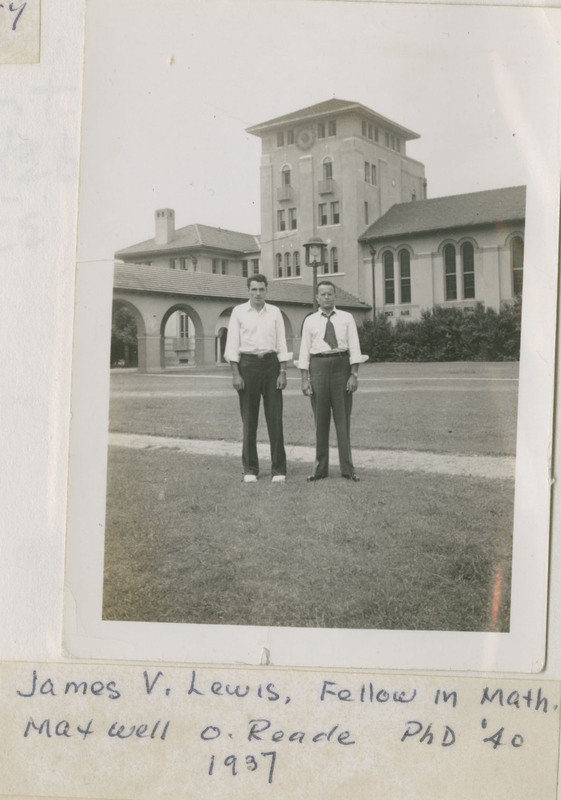 His carefully annotated and clever scrapbook draws a lively portrait of the Rice campus and life as a Faculty Fellow in the late 1930s. I also was lucky enough to have had several long conversations with him, thanks, I believe, to a Rice phone operator who sent him to me when confronted with his enthusiastic but probably lunatic sounding questions. The questions, odd though they might have seemed to someone else, were good ones and required me to think about things I never had before. He was more than willing to answer questions too and in fact delighted in my own deeply peculiar inquiries, lighting up joyfully at the recollection of tiny details of his time here. What a privilege it was to be part of that. Godspeed, Professor Reade. And thanks for everything.